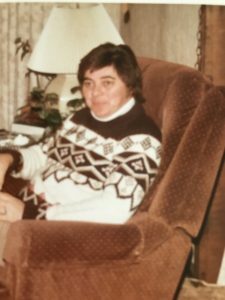 Patricia Louise Simpson, age 76 longtime resident of Fairfield Bay, passed away peacefully on Sunday, morning May 28th 2017 at Arkansas Hospice in Little Rock. Pat was born in Lansing Michigan and graduated from Sexton High School in Lansing. She is the daughter of Curtis J Simpson and Pauline Nickerson Miles; and the half sister to Ginger Simpson (Joan) Apopka, FL, Kirk Simpson (Joyce) Box Elder SD, Marc Simpson (Cindy) Charlotte, MI, and Richard Miles of Lansing, MI. She has many nieces and nephews and great nieces and nephews.Pat was preceded in death by her long time partner of 45 years, Mary Croom Gordon. Following her several jobs in Michigan, Pat moved to Memphis TN to work for Lowensteins Department Stores where she was Assistant Manager for Inside Displays, and in 1976 permanently moved to Fairfield Bay. During her active life, Pat was always there to help neighbors and friends. As Pat’s health declined, those neighbors and friends rallied around to help make her life with chronic illness tolerable so she could remain at home. The family requests that donations be made to the Arkansas Hospice, or to a charity that supports aging and health. Cremation Arrangements Entrusted to Arkansas Cremation. www.ArkansasCremation.com.